When you’re exposed to loud noises as part of your job, whether on a daily basis or just now and again, it’s important that you have the right noise reduction equipment to protect your ears from long-term damage. 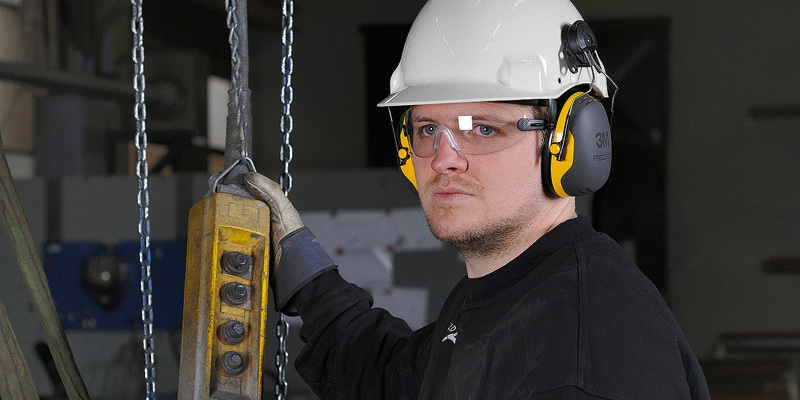 Here at PPE Industrial Supplies we have a wide range of ear protection for all levels of exposure to loud sounds, from earmuff headphones to disposable in ear plugs. As well as making sure your hearing protection offers safety from excessive noise exposure, it’s also vital that it’s high quality and a good fit. We supply equipment in Livingston from some of the most reputable workwear brands out there, including Portwest and Click, so you can be confident about the quality. Our products also come in a range of sizes and materials for a comfortable and safe fit. Are ear plugs the right choice for me? We offer a broad range of earplugs to workers in Livingston, including disposable ear plugs, corded ear plugs and soft foam ear plugs. Earplugs are a good option if you work in a very loud environment, such as a factory or airport, as they fit tightly in your ear canal providing high noise reduction. 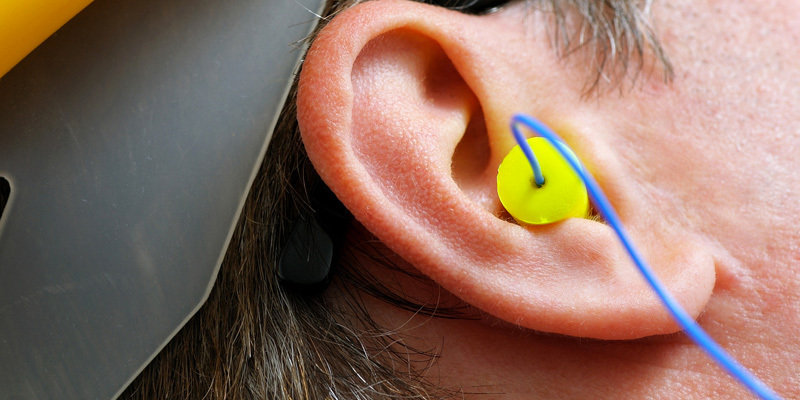 Ear plugs are also a suitable choice if you wear other types of PPE as part of your job. They fit closely and comfortably in your ear, so they won’t get in the way of your hard hat or eye protection. The compact nature of ear plugs means they’re also appropriate for warm working environments. Livingston is a thriving shopping destination in West Lothian. Technology companies and factories, along with the NHS’ St John’s Hospital and large retail centres, create a need for reliable ear protection in Livingston. Locals and visitors enjoy shopping trips, days out and cultural events in Livingston. We provide ear protection and a range of PPE in Livingston and will deliver your products to your doorstep. Delivery to any Livingston area is free of charge for orders over £150. Are ear muffs the right choice for me? If you’re exposed to loud noise occasionally during your working day, ear muffs – also known as ear defenders – are a sound choice of protection as they’re easy to take on and off. As ear muffs are so simple to fit, they also make a reliable choice when you need to supply hearing protection to staff, visitors or even children. We supply a broad selection of ear muffs, such as folding ear muffs, hi-viz ear muffs and ear muffs that clip-on to hard hats for added convenience. If you’re looking for ear muffs in Livingston, check out our catalogue for details of our products. Electronic hearing protection is designed not only to cancel out loud noise, but also to let the right sounds in. We have a range of electronic earmuffs that have one passive side and one electronic side and are fitted with a “push to listen” button allowing you to hear your colleagues. The products we supply can also be helmet mounted and come with hi-viz features for greater visibility. For teams that use ear protection on a regular basis, we provide a range of spares for your equipment including replacement plugs, replenishment pods and hygiene pads – so you’ll never have to worry about running out. What’s more, we can deliver these spares to your premises anywhere in Livingston. Get your free ear protection quote today.